Private Healthcare Australia says its members "really welcome the focus on out of pocket costs occurring for specialist consultations" following Labor's recent announcement of a $2.3 billion Medicare Cancer Plan and confirmation the election will be held on 18 May. Labor's plan includes $600 million to eliminate out-of-pocket costs for diagnostic imaging and $433 million for a new bulk-billed Medicare item number for consultations with oncologists and surgeons. According to Private Healthcare Australia CEO, Dr Rachel David, current legislation means health insurers are not allowed to fund Medicare services out of hospitals where a rebate is payable. "So we can't insure for the gap for those services which I think is why Labor has done this," she told Radio 6PR in Perth. "And I think it's actually pretty worthwhile. You know, a large number of people seek private cancer treatment so that they can have their own specialist responsible for their care for convenience and for rapid access to treatment. But it is a bit unfair that they've made this contribution, their hospital treatment gets covered but when they're seeing the specialist out of hospital which sometimes goes on for many years they do have to pay these gaps which can accumulate over time. So I think that's what the Opposition is trying to address." Dr David said the initiative might also help patients who may have received treatment in a public hospital but see a private specialist as an outpatient. "They're having scans in the private sector. Now that's pretty common. Often the first thing that the public hospitals cut back when things get tough is outpatients so it is pretty common for someone to have their initial treatment in a public hospital and then go and see someone in private. So it's also important that that gets addressed as well." Dr David expressed disappointment at some of the criticism of the initiative. "I think we do need to focus on the fact this is helping patients and people in a very vulnerable situation. What the Opposition has done is pretty much offered to double the Government fee for a consultation in outpatients to see a private specialist for cancer." On out-of-pocket costs, Dr David said fees charges are ultimately a matter for individual medical practitioners, but that, "I'd like to think that particularly in this very sensitive area that doctors would play ball with a government that attempts to address out of pocket costs, and I believe honestly that most of them will." 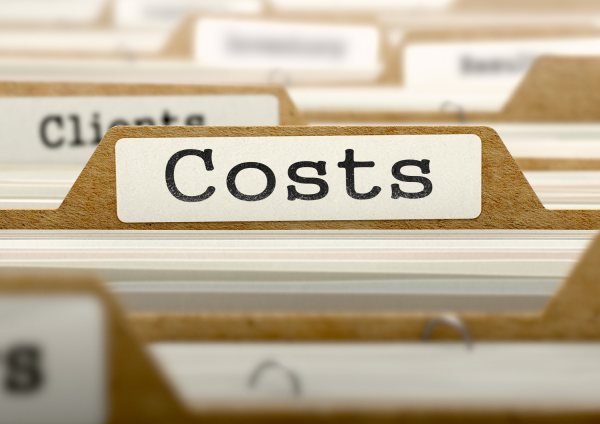 Prime Minister Scott Morrison announced an 18 May election a short time ago with the impact of out-of-pocket costs likely to feature during the five-week campaign. A federal government committee tasked with investigating out-of-pocket costs and options recommended measures designed to enhance fee transparency. In response, health minister Greg Hunt announced funding for the development of a national searchable website to provide the public with greater access to information about the costs of specialist services. The committee was chaired by chief medical officer Professor Brendan Murphy. In response to questions on out-of-pocket costs at a Senate Estimates hearing in Canberra yesterday, Professor Murphy said he believed most specialists would participate in the push for greater transparency.